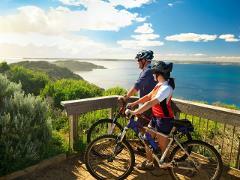 Sea Kayaking is the ultimate way to explore the pristine coastline of the Southern Mornington Peninsula. 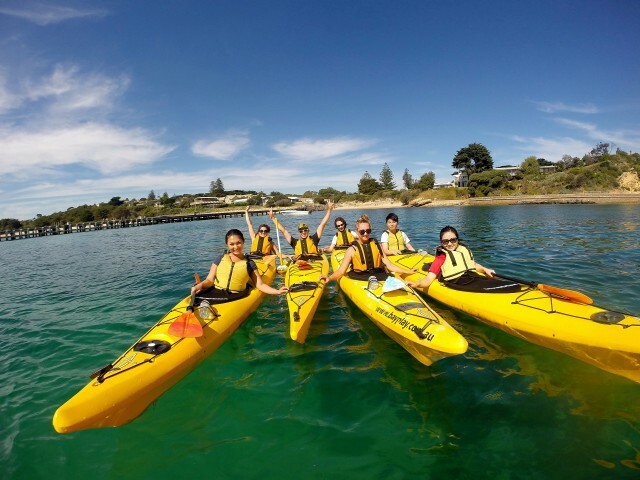 Our experienced Bayplay Kayak Guides will take you past the Ticonderoga Bay Dolphin Sanctuary Zone, which is a refuge for dolphins and a significant component of their habitat, and the picturesque Point Nepean National Park. This is the perfect tour for those with a sense of adventure and interest in nature! Port Phillip Bay is home to a population of around 80 bottlenose dolphins. These mammals rely almost entirely on the bay for all their daily needs.They rarely, if ever, venture outside its waters. The small population size makes these dolphins vulnerable to extinction. Marine mammals are given special protection under law in protected areas including the Ticonderoga Bay sanctuary zone, located north-west of Portsea near Point Nepean, is a refuge for the dolphins and is a significant component of the dolphins' habitat. Dolphins often feed, rest and socialise in this area due to the availability of food and its protected nature. Tours begin with a short briefing, equipment use, skills and safety procedures. 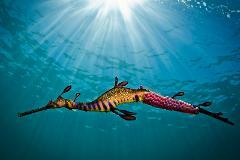 Your professional guides also provide information on the marine life and points of interest along the way. 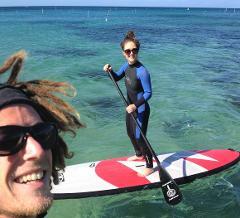 Throughout the tour, your guide will tell you all about the history of Port Phillip Bay and the marine life you encounter. 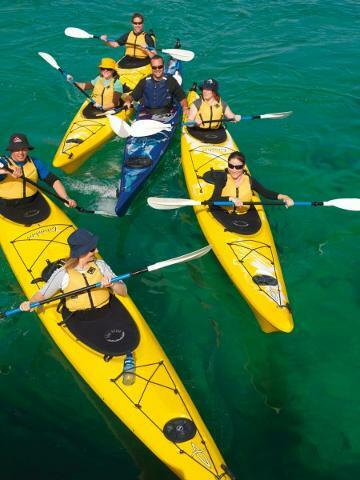 Your Sea Kayaking experience will take up to 3 hours with up to 2 hours of paddling time. Your Guide will ensure there is a short break at a suitable beach location during this time, where a small snack will be provided. Buoyancy vests, waterproof/windproof jackets, spray decks, kayaks, paddles, refreshments and courtesy transfers if required. Guides carry first aid, safety equipment, VHF Radios and mobile phones. Water, Bottle, Towel, sunscreen, hat, sunglasses, booties or thongs. Please wear beach attire and bring a change of clothes. In colder months - thermals are recommended. Participants must be at least 10 years and of age with a reasonable fitness level and confidence in the water. Children under 14 years must be accompanied by an adult. It is recommended that any guest with a medical condition fill in a Medical Statement prior to the experience. Adequate medical advice should be sought prior to partaking in any form of physical activity including but not limited to Asthma, Epilepsy, Heart or Lung Conditions, Ear injuries, Pregnancy & Seasickness. For the safety of both our Guests and our Guides, we monitor weather conditions closely. In some instances, conditions may change unexpectedly, and we may need to reschedule your experience at the last minute. 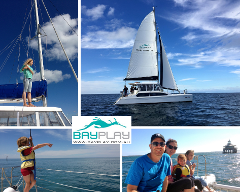 Please understand that we will always do our best to find another time for your experience with Bayplay! in Portsea than it does in Melbourne! 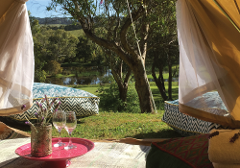 We offer Packages and Accommodation in a range of family holiday cottages, or group retreats in Portsea, Rye, Blairgowrie and Red Hill South.